We are now on the other side of the line that I mentioned yesterday, facing a whole new year of possibilities. The Moon moves into the Crescent Phase tonight when our instincts are tested, but we are still in the New Phase for most of the day. 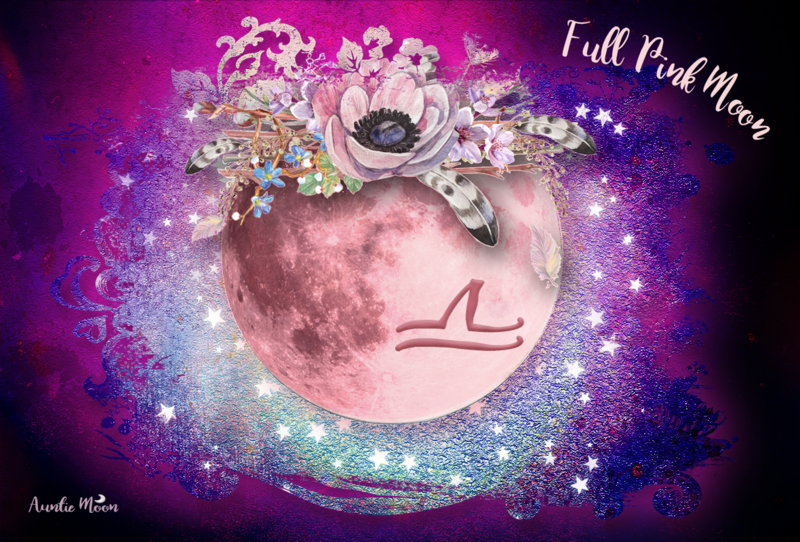 It’s not too late to make your New Moon wishes and perform your New Moon ritual today since we are still in the New Phase. 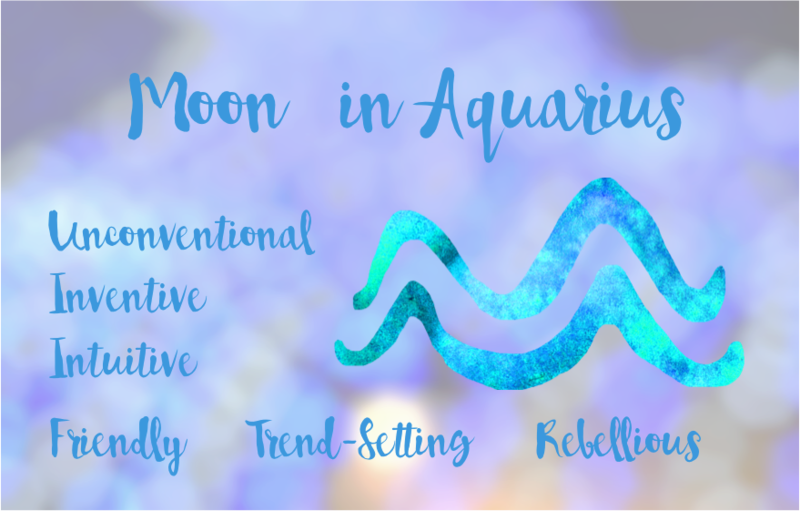 The Aquarius Moon was unbridled yesterday and won’t make an aspect until this evening ET. That aspect is an easy sextile to her ruler, Uranus, so she’s not likely to calm down just yet. She still has energy to spare. Tonight, she’ll happily connect with Jupiter and Saturn. Moods are likely to remain upbeat, but a bit more toned down. I love this card from the Healing Crystals Zodiac Deck. I think we need reminding sometimes that Moon in Aquarius is very loving. I’ve known some Aquarians that have been accused of being so cold and unemotional when I’ve known them to be open, tender-hearted, and overflowing with love. Anahata is the Sanskrit word for the heart chakra. “In Sanskrit, anahata means “unhurt, unstruck, and unbeaten”. (source) I think Aquarians are able to protect their open hearts so that they are unbeaten and resilient to the hurts of the world. They’re not unlike Cancer in that regard. It’s good to remember that Aquarius is a fixed sign which seeks security and is protective. The best lunar periods are Sunday through Tuesday. Things get a little tougher mid-week. After a conjunction to Venus on Monday morning (Jan 2) which makes her alluring and loaded with charm through the short void period (3-4:58am ET), she moves into Pisces and sextiles Mercury in Capricorn. This is such a nice aspect. We’re able to express our sensitive Pisces feelings in a clear and concise manner. If you have something you want to say, this is a good time—provided, of course, that your own chart supports it. The Moon’s last aspect on Monday is a conjunction to Neptune in Pisces. Sweet dreams. 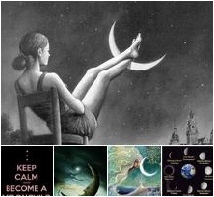 Tuesday, the 3rd, has some great lunar aspects plus the added bonus of Venus entering Pisces. On Wednesday, the 4th, she enters Aries late morning and closes the Crescent Phase under some harsh aspects with the Sun and Pluto at 2:47pm ET on the 5th. Thank goodness the Moon moves quickly. I’d like to share the page for today, Jan 1st, from my latest offering, Daily Vibes for January 2017. If you like working with correspondences to the Moon signs, I’m pretty sure you’ll enjoy this book and find it handy and very useful. It’s only $7.50 to purchase as an instant download. It’s a great companion to the Capricorn New Moon Dreams Workbook.